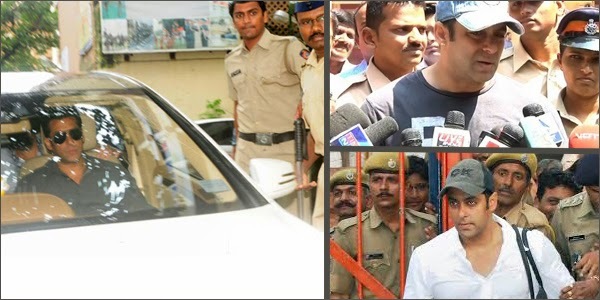 Raaga.com: Salman Khan’s lawyer blames BMC officials as the killer in hit and run case and not Salman Khan!!! Salman Khan’s lawyer blames BMC officials as the killer in hit and run case and not Salman Khan!!! Bollywood actor Salman Khan’s lawyer Shrikant Shivade is using all tricks in the trade to defend his client (Salman Khan) in the notorious 2002 hit and run case. After his design to prove driver Ashok Singh, as the culprit driving the car turned out to be a 'stooge and dummy witness', Shrikant Shivade has now came up with a new twist to the hit and run tale. In his latest claim Shrikant Shivade has indirectly blamed Brihanmumbai Municipal Corporation (BMC) officials for the death of a person in the hit and run case and not Salman Khan! Trying to mislead the judge Shrikant Shivade stated that the person who died by the car that rammed into a bakery shop in suburban Bandra on September 28, 2002 has not been killed due to Salman Khan’s car running over him but has actually died due to the inefficiency of BMC officials who lifted the car by crane. He said, “There are incriminating circumstances to suggest that the car dropped on the person who was under it when it was being lifted with the help of a crane that was brought in by police after the accident." It may be noted that on September 28, 2002, Salman's vehicle had rammed into the American Express Bakery in Bandra West, Nurulah Mahboob Sharif, died on spot. While Munna Malai Khan, Kalim M. Pathan, Abdullah Rauf Sheikh and Muslim Shaikh sustained injuries.